Every day, thousands of travelers drive along the winding roads that meander through the hills and mountains of the coal region, giving little thought to the hundreds of miles of labyrinthian tunnels beneath their wheels, where generations of men toiled to harvest black diamonds from the bowels of the earth. On the evening of September 23, 1921, the village of Locust Gap was saddened to learn that an accident had occurred in the Locust Spring mines. One miner, a young man by the name of Stanley Zelinski, was buried beneath a rush of coal as he and his 'butty', Andrew Darrup, attempted to open up a new chute, Chute No. 101. Although few believed that any miner could survive such an accident, the Philadelphia & Reading Coal and Iron Co. vowed to do everything in their power to rescue the unfortunate miner. There was a one in a million chance that the miner could have ducked into a crevice or a gap when the cave-in occurred, and the coal company declared that they would not rest until Zelinski was found, dead or alive. After days of frantic digging, an emergency meeting was called on September 30. Present at the meeting were G.B. Hadesty, the general manager of the coal company, John Bevan, the company's chief engineer, and mine inspectors Ben Evans and William Read. They were joined by a half dozen other experts, and they had called the meeting to find a way to locate the missing miner. Hadesty reiterated his promise that no expense would be spared to find Zelinski. However, they were running out of places to look. The coal company had searched every possible location, and had entertained every possibility. The explored the possibility that Zelinski was above the cribbage or laggings over the gangway when the accident took place. They tore down the timbers to release the cribbings, but there was still no sign of the lost miner. They forepoled the site of the cave-in and then removed the ribs on each side of the chute, expanding the opening from nine feet by five feet to thirty-three by seventeen feet. They removed tons of coal in the process, but could not find so much as a scrap of Zelinski's clothing. They even explored the possibility that he might have gotten behind one of the timbers in the chute. There was the slimmest of possibilities that, when the rush came, one of the timber ribs could have temporarily bowed or sagged beneath the weight, providing a tiny nook for Zelinski. They dug around each rib and timber, but could not find him. The search continued into October. The gangway of the mine had been permanently enlarged in order to accommodate the searchers, necessitating new sets of timbers. It was a costly and dangerous procedure that effectively raised the ceiling of the mine by several feet. Between 30 and 50 workmen searched for Zilinski around the clock. The search slowed about two weeks later, with virtually all of the rescue workers laid up with "la grippe"-- or the Spanish flu. The search for Zelinski resumed near the end of October. By this time the search for the miner was not just a search for a corpse-- it was an all-consuming obsession. It was as if the man had disappeared or vaporized. They dismantled and examined every piece of machinery for a scrap of skin or a clump of hair, in the event that Zelinski had been pulverized or mangled. Reporters from across the country descended upon Locust Gap, mesmerized by the inexplicable disappearance. Finally, in May of 1922, the Philadelphia & Reading Coal and Iron Co. called off the search. The eight-month-long operation had cost the coal company $80,000-- the equivalent of $1.2 million in modern currency. 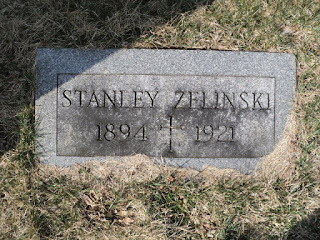 But Stanley Zelinski would not be the only casualty stemming from the disaster at the Locust Spring mine. There was also the matter of his 26-year-old widow, Sophie. They had been married for not quite a year when the accident occurred, and Sophie was pregnant with her first child. 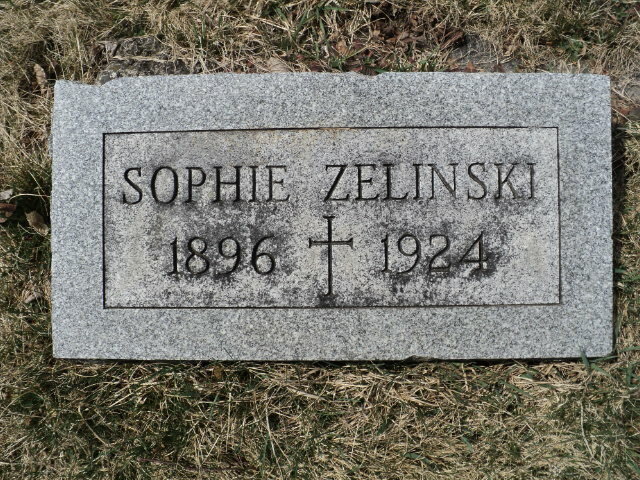 Since the body of her husband was never recovered, Sophie Zelinski was unable to collect a dime of insurance. Out of desperation she filed a lawsuit against the coal company. It was not an easy decision for her to make, since the coal company had bent over backwards and had spent a considerable fortune searching for the lost miner. But with her sole source of financial support gone, she had no other alternative. She had also just given birth to a son, whom she named after her husband. On February 26, 1923, testimony was given at the Mount Carmel city hall before Compensation Referee A.E. Lewis, who had no choice but to rule in favor of the Philadelphia & Reading Coal and Iron Co. According to the law, without a corpse it was impossible to prove that Zelinski had met his death inside the mine. It would be more than a year until the skeleton of the lost miner was finally discovered. 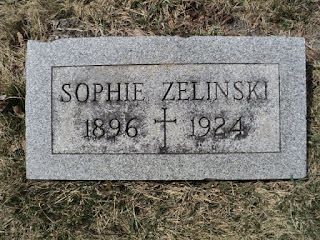 On March 11, 1924-- twenty-nine months after his disappearance-- Zelinski's remains were found far from the site where the rush of coal had fallen on top of him. Oddly, the skeleton was found behind one of the timbers that had been installed when the gangway was expanded during the search and rescue mission. 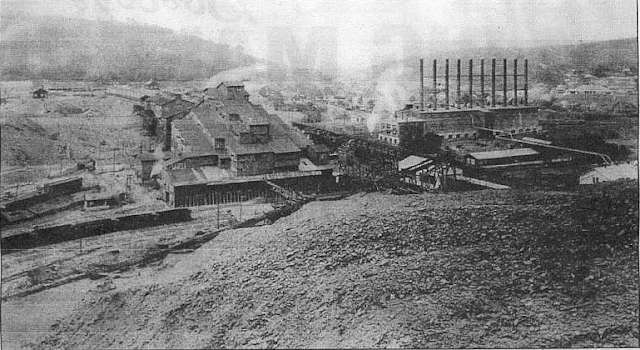 This indicated that Zelinski had been swept away by the rush of coal and had remained buried in some unexplored stretch of the mine, until a subsequent rush of coal swept his remains back into the gangway. In October of 1924, Sophie gathered up every penny she had left and moved to Philadelphia in order to take a job at a hosiery mill. She found a cheap room in a run-down boardinghouse on 11th Street. 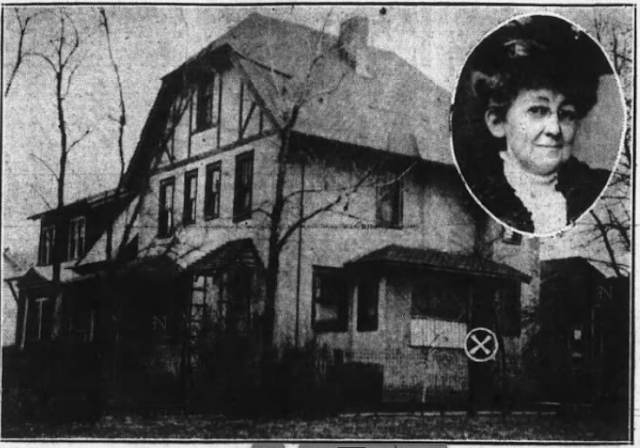 While some claimed that Sophie had gone to Philadelphia in order to start a new life for herself, others claimed that she had fled Mount Carmel to escape the unwanted advances of a man she referred to as "Frank". This would be Frank Halaburda, who lived on West Fifth Street in Mount Carmel and had worked in the mines with Stanley. Sophie never knew Frank's last name; all she knew was that he had developed an unhealthy obsession with her. Nevertheless, she regarded his endless propositions as a sweet, though annoying, gesture. They maintained a casual friendship, but Sophie decided to move away when Frank began to get too clingy. Thursday morning, December 12, 1924, dawned crisp and clear and Sophie, along with her landlady, Mrs. Amelia Winch, went downtown in order to buy Christmas presents for the three-year-old son Stanley Zelinski never got to meet. The child was being raised by Sophie's parents in Mount Carmel so that Sophie could work at the hosiery mill. She hoped to return someday, after saving up enough money. Frank came to visit her in Philadelphia, and the plan was that he would take Sophie's Christmas presents for her son and parents back to Mount Carmel on the 7 o'clock train. After he left the boardinghouse with the presents, Mrs. Winch began to prepare dinner for herself and Sophie. Suddenly, the sound of five gunshots rang out from Sophie's room. Mrs. Winch ran out into the hallway and caught a glimpse of the young widow dashing from her room. Sophie darted down the stairs and out onto the sidewalk, leaving a trail of blood in the freshly-fallen snow. The trail led to Green's Drugstore on the corner. The proprietor, Bernard Green, was sitting inside the store with his wife when he heard a dull pounding on the window. He turned around to see two bloody handprints on the glass. The druggist's wife turned around, too, but fainted at the sight. 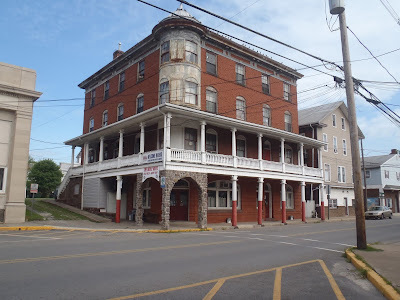 The druggist called for an ambulance, and the unconscious young woman was rushed to St. Joseph's Hospital, where she briefly regained consciousness and cried out, "Where is George?" before dying. The identity of the man she called out for has never been ascertained. As for Frank Halaburda, he turned the revolver on himself after firing four shots into Sophie Zelinski's neck and chest. He was taken to the Homeopathic Hospital, where he was pronounced dead with a self-inflicted gunshot wound to the heart. Today, two humble granite slabs at Mount Carmel's Holy Cross Cemetery mark the final resting places of Stanley Zelinski and young widow Sophie, who left the coal region to mend a broken heart, only to be gunned down in a cheap rented room in Philadelphia by a miner from Mount Carmel who wanted what he could not have.